Answer: As a financial and investment planner, we need to subscribe to the principle of suitability. Without sufficient information, it wouldn’t be prudent of me to categorically say one would be better than the other. The answer really depends on you—if you are knowledgeable enough to select your own stocks, size of funds, and if you have enough time for investing. However, to help you make a more informed decision, let’s discuss the advantages and disadvantages of both types of investing. Control—Buying your stocks directly gives you control over what and when to buy or sell. Residual income—If you buy a stock with a good dividend payout, then you don’t have to watch the price movement anymore. As long as the company is earning and declares dividends, you will get dividends. Maximized returns—individual stocks that are growing may beat the market and can give you better-than-average returns. Many stocks beat the index last year. Potentially better returns—with proper selection and assuming that you are very good at selecting market performers, the growth of your own stock portfolio can outperform the stock market index and many stock funds. Fees—buying your stocks directly from brokers usually means lower fees as fund managers charge a higher investment management fee compared to stock brokers. Time-consuming—before investing, you should spend enough time thoroughly understanding how stock market investing works. You should also accumulate enough knowledge of both fundamental and technical analysis. Fundamental analysis means you must be able to read and understand financial reports of the companies you would like to invest in, the general condition of the industries and market trends to which these companies belong to, general knowledge of macroeconomics and even the management of the corporations you would like to own shares of, etc. Technical analysis will require you to constantly study charts on price averages, trading volumes and a multitude of technical market theories like Dow theory, Relative Strength Index, Elliott Wave theory and more. While fundamental and technical analysis is not rocket science, it takes considerable time for you to learn them properly. Enrolling in a class like Marvin Germo’s Stock Smarts is a good way to start. Diversification—all investment professionals will always recommend you to diversify. No amount of study and good performance in the past will guarantee the performance of a particular stock in the future so having several and properly selected stocks is always a prudent thing to do. Unless you have a very big capital for investing, you will be limited to the variety of stocks you can carry in your portfolio. Professional fund management—this is perhaps the biggest advantage of pooled funds like UITFs and mutual funds. There is a dedicated team of investment experts that looks at investment opportunities and is investing the money according to the investment objectives of the fund. It is common to see CFAs or Certified Financial Analysts leading or being part of these investment teams. Good fund managers are clinical and logical investors and are not easily swayed by emotions as compared to individual investors. Capital requirements—most of pooled stock funds have low capital entry requirements. One can invest in a fund for as low as P 5,000 to P10,000, with other providers requiring a monthly contribution of as low as P1,000 per month. 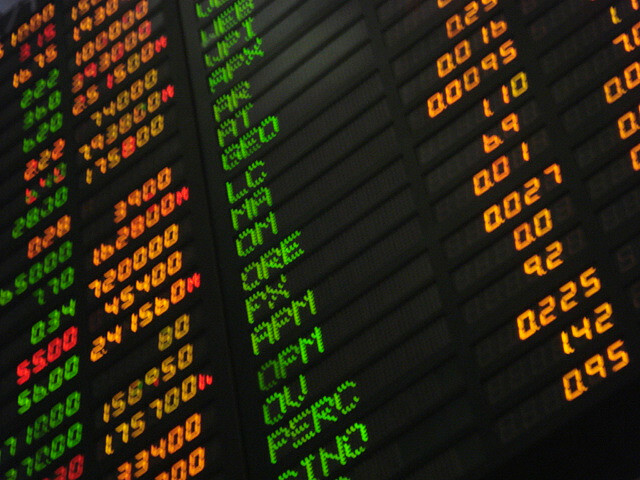 Diversification—all stock funds carry well-diversified stocks in their portfolio, usually blue chip or premium stocks. Since these are pooled funds, there are economies of scale in place; fund managers will be able to purchase different shares. Proper diversification will ultimately result in reduced portfolio risk. Fees—While not all stock funds charge the same range of fees, these fees are usually much more than broker fees as there are costs involved in managing funds. Some funds even charges entry and exit fees, which can reduce the returns of your investments. Some funds are being sold through agents and advisors and commissions would need to be paid to them. Control—you have no say on which funds you want or don’t want in your fund as this is already delegated to the fund managers. You also can’t modify the weight of the stocks inside a stock fund as fund managers follow maximum exposure limits per stock to ensure proper risk management practices. Even if you want more PLDT or Jollibee shares in your portfolio, your fund will only have a limited exposure to said stocks, like 10 percent. The answer to your question is dependent upon you knowing the pros and cons of individual stock investing or through a pooled equity or stock fund. If you are a new investor, I recommend you invest in a stock fund first and as you get to understand how the stock market works and develop your competency in investing, you may want to start investing in individual stocks. There are no perfect investments and there are many ways to build your wealth, chose a strategy that you will be most comfortable with. Do not forget, whether investing in stocks by yourself or through a fund, it pays to invest first in investment education.